Researchers of the Cellular Differentiation Group at the Epigenetics and Cancer Biology Program at IDIBELL, led by researcher Maribel Parra, have identified a transcriptional repressor, the histone deacetylase HDAC7, involved in the generation and the identity of B lymphocytes, the cells responsible to create antibodies in our immune system. The results of the study, published in the Journal of Experimental Medicine, show that HDAC7 is essential in the generation of B lymphocytes. Hematopoietic stem cells go through a very complex system of differentiation to form the different blood cells. In the hematopoietic system, there are two main branches: the lymphoid, which results in T cells, B cells and NK cells, and the myeloid that will give rise to erythrocytes (red blood cell) or macrophages among others. As Maribel Parra explained, "each of the cellular transitions that take place during B cell development comprises the acquisition of the genetics program characteristic of the new cellular stage and the extinction of the previous one. To date we have an accurate and precise picture of the involvement of networks of transcription factors in activating a specific gene program. However, increasing evidence indicate that transcription factors are also involve in the repression of lineage inappropriate genes. How B cell transcription factors induce the silencing of genes that should not be expressed in B cells remain largely unknown. 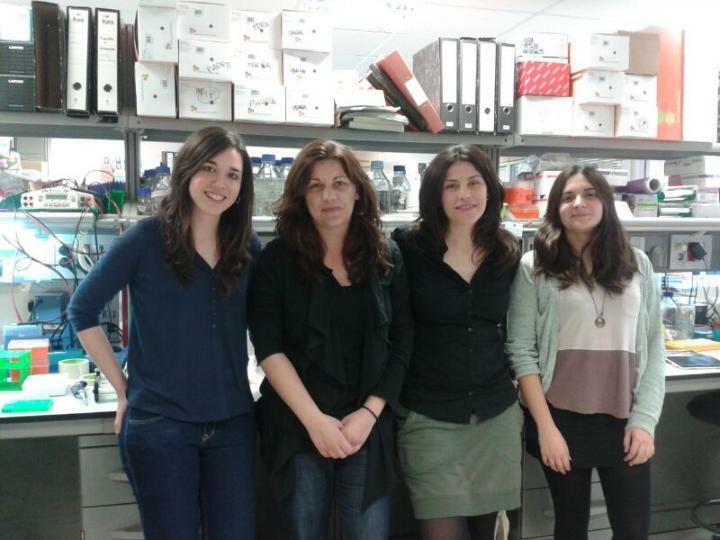 The group of Maribel Parra studies the role of a family of transcriptional repressors, histone deacetylases (HDACs), in the differentiation of cells of the hematopoietic system. In this work, researchers have shown that in B lymphocytes HDAC7 is involved in the transcriptional repression of "inappropriate" gens characteristic of other cell types such as macrophages and T lymphocytes. The researches have used a mouse model for HDAC7 deficiency in B cell progenitors (pro-B cells) and have observed that it is essential for B cell development. They have found that HDAC7 is recruited to the lineage inappropriate genes leading to their transcriptional silencing. Maribel Parra explained that, "through this mechanism of transcriptional repression, B cells ensure that genes characteristics of other cell types are not expressed and maintains its lymphoid identity." She also notes that, "given its importance in the biology of B cells, HDAC7 function might be altered in hematological. In fact, last year we published a manuscript showing that HDAC7 expression is deregulated in particular types of B cell leukemia and lymphoma."